I have oily skin. Let me rephrase that, I have oily skin most of the year, but when summer rolls around I have greasy oily skin. Gross...I know. It's even worse when I actually want to wear makeup because it's hard finding something that won't slip and slide off my face. 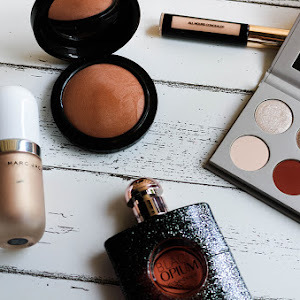 So as time passed and I got a chance to try out different products on the market, I think I've found the perfect products that would help me keep my makeup in place. 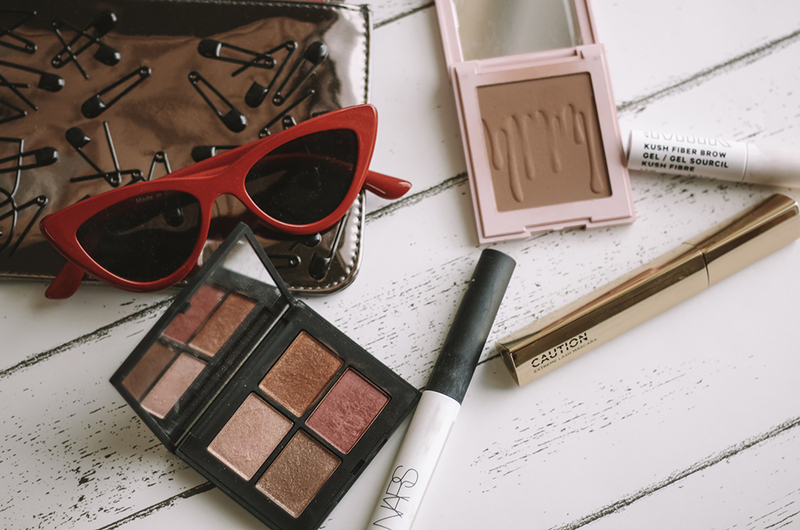 A while back me and Stephanie from theFanstasia were talking about products that would help make our makeup last longer and that were our summer essentials. We decided to each do a post on our essentials for the summer. 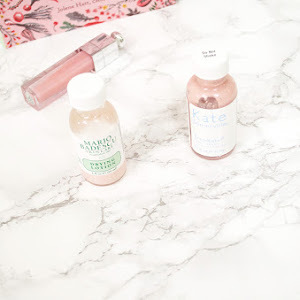 Her products are more geared towards normal-dry skin so if that's your skin type you should also check out her her blog post (link here) because it will be helpful. In the summer I don't like wearing a full face of makeup, but since I've been using the It Cosmetics Your Skin But Better CC Cream I've been needing to find other face products that would keep that in place. The only reason why I've been wearing that CC cream is because it has SPF 50 and my dermatologist told me that SPF 50 was the magic number. Occasionally I'll go without that CC cream and wear just SPF and conceal spots that need to be covered. But no matter if I'm wearing only SPF or if I'm wearing CC cream I will always have these products on. 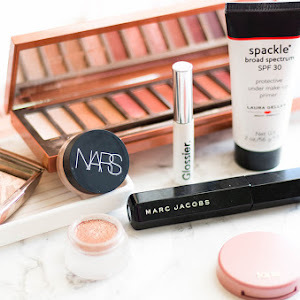 All of these products have become an essential part of my makeup routine. 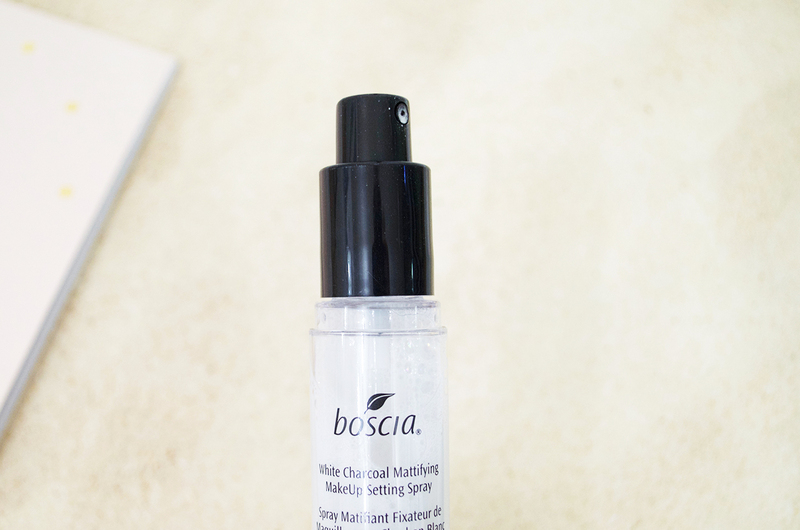 Bosica White Charcoal Mattifying MakeUp Setting Spray - I am obsessed with this, I'm positive I've mentioned this in plenty of blog posts. I'll use this before my makeup and I'll use this after as well to set everything. I've found that if I don't use this my face will look even more oily. Makeup For Ever Skin Equalizer Mattifying Primer - When I first got this I hated it. It made my makeup get patchy and the powder would look weird on top of this when I tried to set my makeup. I was planning to return it until one day I accidentally sprayed the boscia mattifying setting spray before doing my makeup (this was before I discovered that using the spray before and after would give me the best results). After spraying this on I decided to put the primer on top and spread it out before everything dried. When my primer was rubbed in I would follow it with the CC cream and found that it worked perfectly. I only apply this to the areas where I'm most oily which is my T zone, chin, nose, and inner part of my cheeks. Urban Decay Eyeshadow Primer Potion Original - Let me mention that I might the last person to have ever tried this. I know that it's been out for years but I recently discovered this and fell in love. So when I apply this I like doing it when the boscia setting spray is still a little wet on my face. There would be some of the spray on my eyelids so when I apply this it makes it really easy to blend in. It helps keep my eyeshadow on all day without creasing. 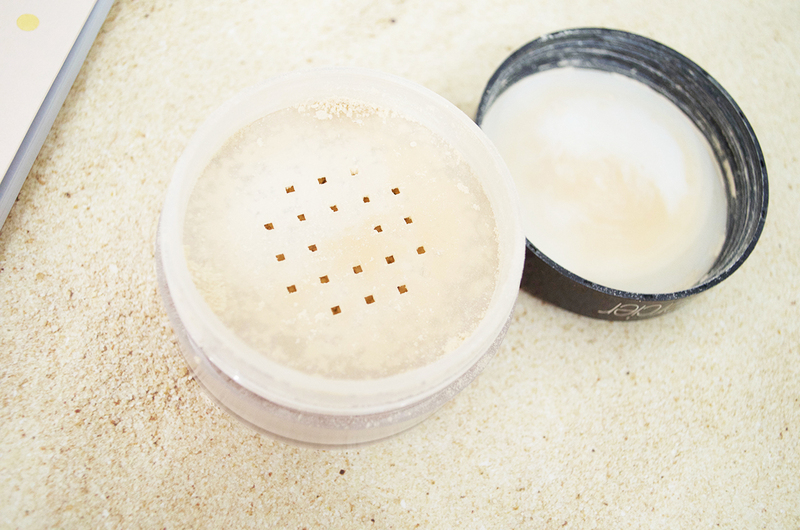 Laura Mercier Transluscent Loose Powder - BEST POWDER I EVER TRIED. I have tried so many powders, so many. I have a bunch in my collection and this is the one I use the most. 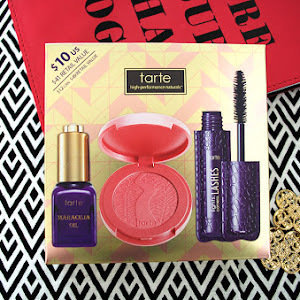 I'm so afraid to run out of it because of how pricy it is, but it's the one item in my collection that I know will constantly have to be repurchased. It makes my blush, bronzer and highlight apply amazingly after this. It keeps my foundation in place all day and I find that if I switch back to a different powder I look more shiny throughout the day. Lately I've really been trying to bake with this, I don't do mine heavily though. I'll use a damp beauty blender and get some powder onto it then dab it onto my face. When I leave the powder on my face I'll move onto eyeshadow and when my eyes are finished I'll blend in the powder. Anastasia Beverly Hills Brow Gel - I used to use the Elf brow gel but I found that it didn't really keep my brows in place. But this brow gel? Wow....it's amazing. I feel like my eyebrows get long really fast so some days when I'm too lazy to actually fill them in I'll use this to brush them up and make them look decent. I feel like it also makes my brows waterproof because sometimes when I'm sweating I feel like my brows aren't melting and even after I remove all my makeup this will still keep everything in place. I hope all of you oily skin gals find some new products that could possibly help you from this list. I now that these products have been keeping my makeup in place, hopefully if you try any of these out they work for you as well. This post has been geared toward oily skin but I guarantee that these will work for all skin types (maybe minus the mattifying primer). 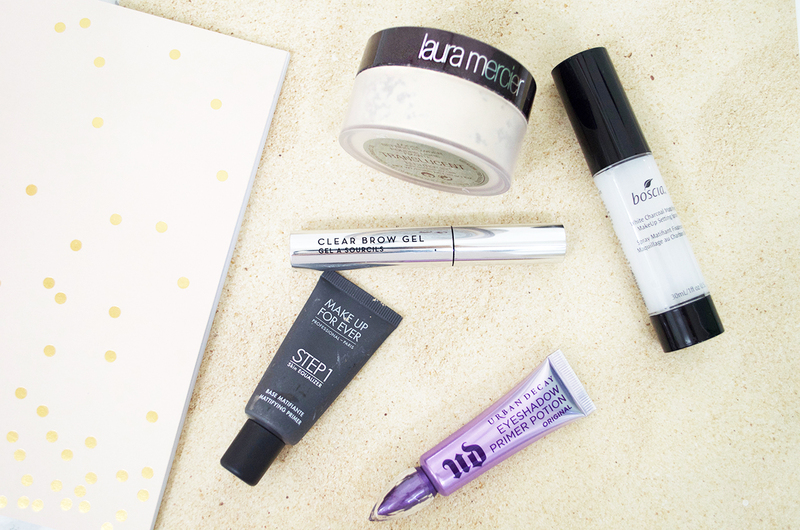 What are your favorite products to use in the summer?